First, congratulations for reviewing your life insurance needs. 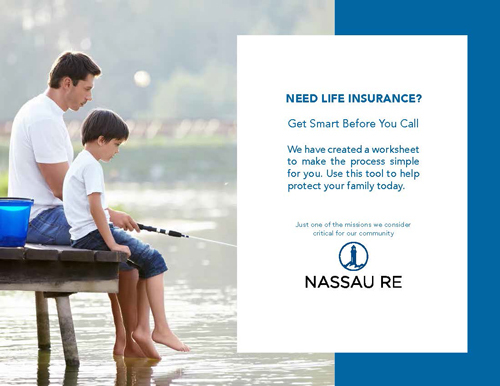 We believe in life insurance and want everyone to have the right amount of coverage. We also feel it's our duty to make the process as easy as possible for you to get the coverage you need, even if you buy it from someone else. Before even filling out a form, calling a number, or meeting with an agent, we recommend that you first answer the following five questions by yourself. Who do you want to protect? If something happened to you, who do you want to protect? Make a list. Is it your spouse? Your children? A niece or nephew? Insurance companies call these important people your "beneficiaries." Literally write down their names, ages, addresses and date of birth. 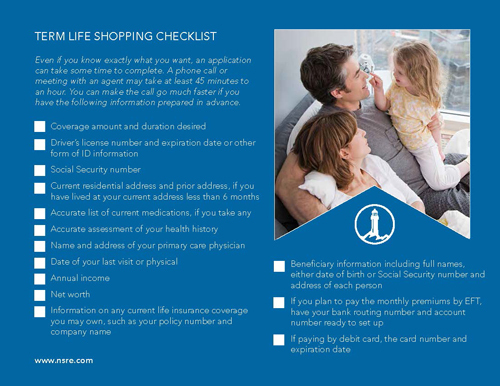 You will need this specific information when you apply for the coverage. There are many different answers to this question and they tend to be very personal. 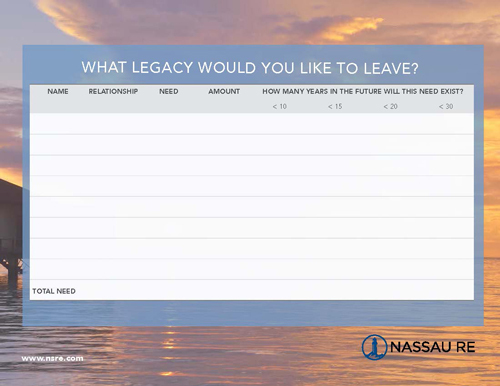 One approach is to decide which financial stresses you would like to potentially alleviate for those you love, if you died prematurely. You may want to pay off the remaining mortgage on a house. You may want to fund college for your children or a niece or a nephew. Perhaps you want to leave money for a charity. List the possible gifts you would like to leave for others. Most people think that life insurance costs more than it really does. One recent study found that 44% of Millennials overestimate the cost of life insurance by five times the actual amount. * Can you spend $100 per month for insurance? Can you spend $200 per month? You'll be surprised how much coverage you'll get by spending in that range. How long do you need the coverage? Term life is generally sold in durations of 10, 15, 20, and 30 years. That said, many carriers sell policies in many different durations. Each carrier will generally price the policy so that you keep the policy only for that length of time. At the end of the duration, the carrier will generally offer to extend the policy, but at significantly higher rates. Before answering, think back carefully to the second question — the purpose of your coverage. If you want to make certain that your child can pay for college and he or she is 15 years old, you may only want a 10 or 15-year term life policy. If you just bought a house with a 30-year mortgage, you may want a 30-year term policy. You get the idea! This is a hypothetical scenario and each individual's situation should be evaluated independently. What are your personal key facts? If you plan to pay the monthly premiums by EFT, have your bank routing number and account number ready to set up. Also, did you know you can apply online for our term life in about 15-20 minutes?